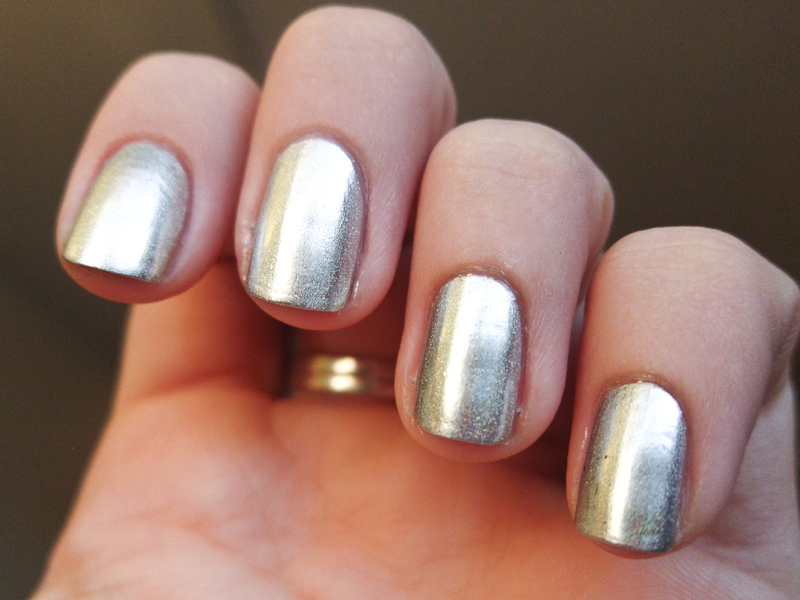 Here's the boring obligatory indoor shot of my mani, that proves that it does, indeed, count as a metallic for today's theme. And HERE are the exciting shots of it. I PRESENT NFU OH 61. It's a silver holographic, and you can order it on fabuloustreet.com. I used the recommended Nfu Oh Aqua Base with it. 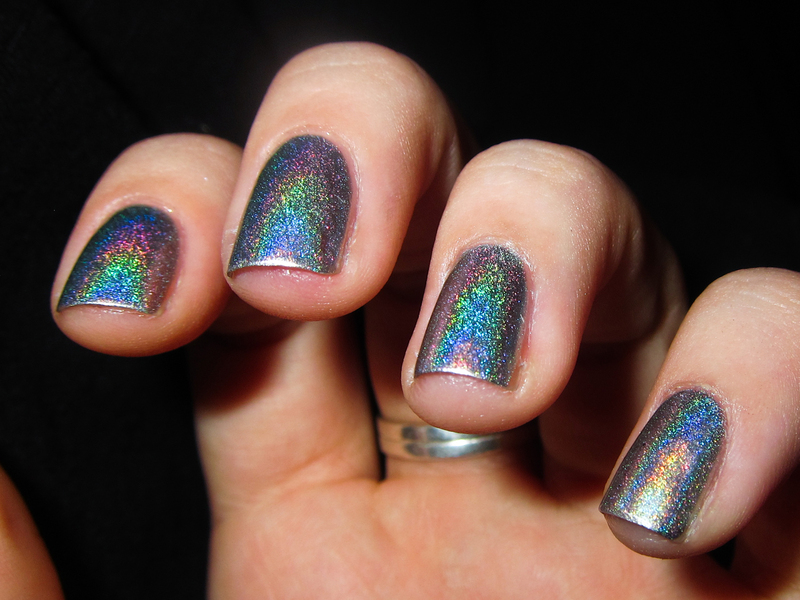 Maybe I should have used this on "rainbow" themed day? 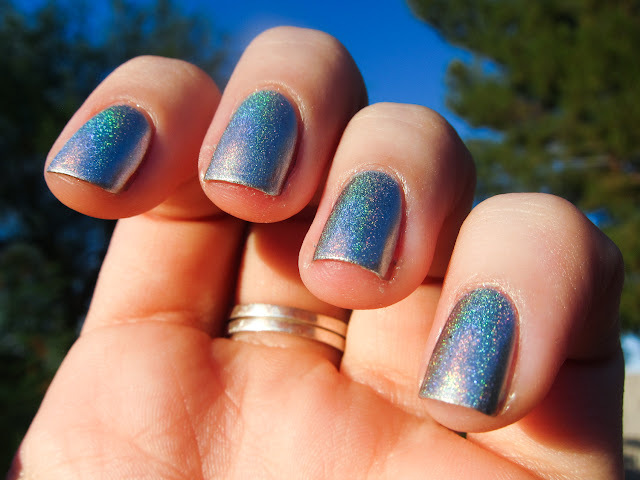 It's super gorg, right? The outdoor shots are less impressive, but the sun was going down. Maybe at high noon they will prove brighter! 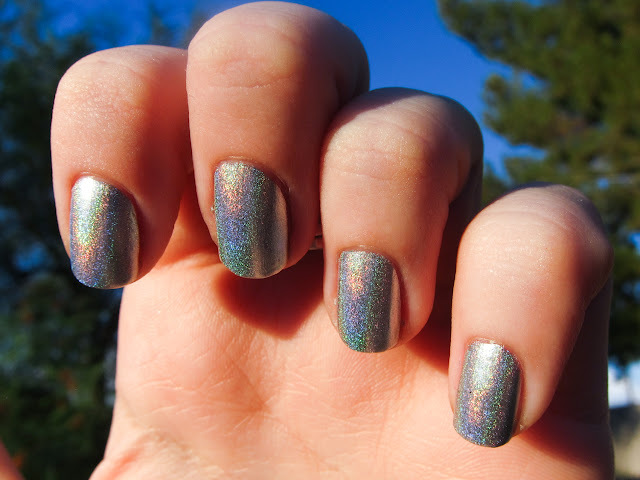 Regardless, the holo looked more intense in person than would show up in the outside pics. 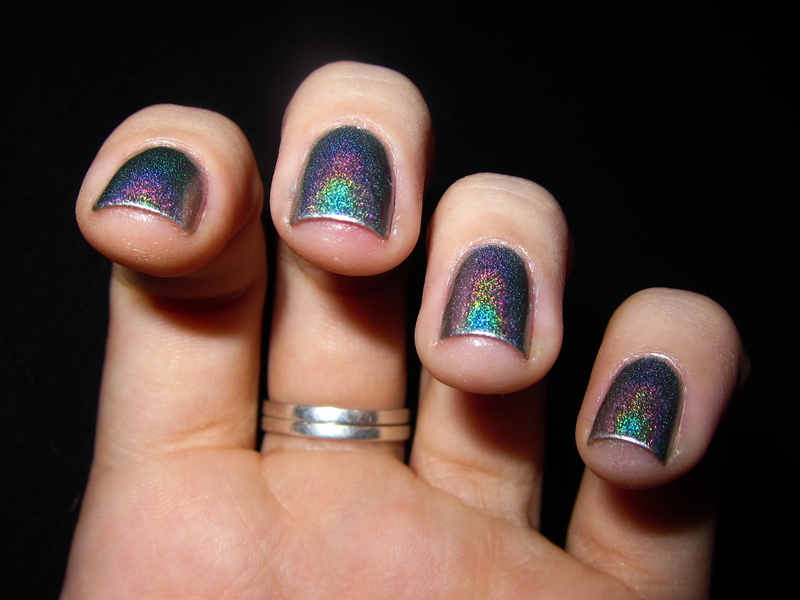 Either way, this is a stunner of a mani. 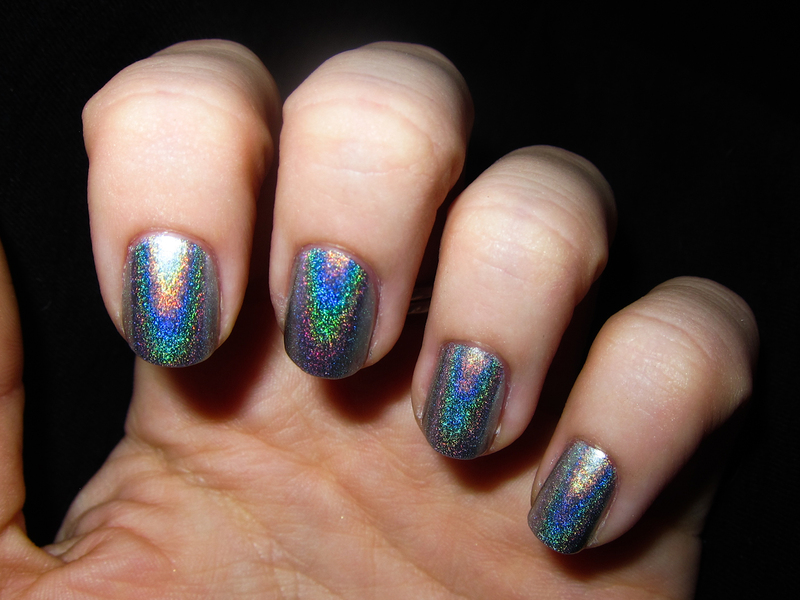 The light on my kitchen stovetop activated the holo, too! Not a super exciting day nail-art-wise, but I was very eager to use this polish so I picked the challenge day I thought it would apply well to! I think I nailed it. Soooo amazing I want this so bad!!!! love love love all of these pictures! !